Celebrate the Arrival of Krampus at The 4th Annual Krampus Fest New York on Sat Dec 7th at The Bayou! According to centuries old folklore Krampus shows up in towns the night before St. Nicholas Day known as Krampusnacht (Krampus Night) to swat naughty children with birch sticks and take the really bad ones to his underworld lair. We will be having some German Specialties to our menu for this night only!! Its that time again for our favorite holiday! 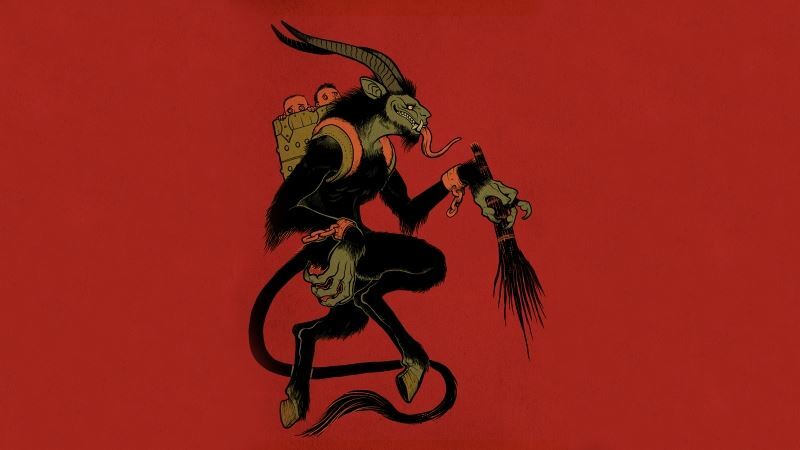 Join the festivities at the 4th Annual New York Krampus Fest at The Bayou on Friday Dec 7th. DJ Humungus will rule the Stage, Spinning Hard Edge, Industrial and Techno Metal. Spin the Wheel of Doom. You might Win- You might Lose- Your Fate Lies with Krampus. Enter the Krampus Cosplay Contest and win 100 Gift Certificate: Free Krampus Prize to the first 20 Krampus Cosplayers to arrive. Enjoy some Authentic German Dinner Specials. And Many more Naughty Shennanigans. SPIN the WHEEL OF DOOM - You might win, you might lose, your fate lies with Krampus Krampus is not the only monster to fear this time of year. DJ Humungus is coming. You have been warned... We are planning a Midnight Krampus March through the Village of Fleetwood Calling all Krampuses and or Santas. Naughty or Nice, or somewhere in between join in the fun. This night at KRAMPUS FEST NY.